Hear David Bowie's 2018 Version of "Beat of Your Drum"
While David Bowie's '80s work is set to be collected in a sprawling Loving the Alien box set this fall, we're getting an early glimpse into its hidden treasures now. Specifically, a 2018 version of "Beat of Your Drum" has just arrived. The song originally appears on the 1987 Bowie album Never Let Me Down, but for the box set, the LP has been revamped by producer Mario McNulty at Electric Lady Studios in New York City. Besides some longtime Bowie collaborators contributing to the album's reimagining, it also features new arrangements by Nico Muhly and a guest appearance from Laurie Anderson. For a taste of this album reworking, you can listen to the new version of "Beat of Your Drum" now. In a statement, McNulty had this to say about the new version of the song: "David Torn's ambient guitars start the song that now lead into a much darker world than its shiny predecessor. David sang all the backing vocals on this which I have kept." Listen to the 2018 version of "Beat of Your Drum" below. 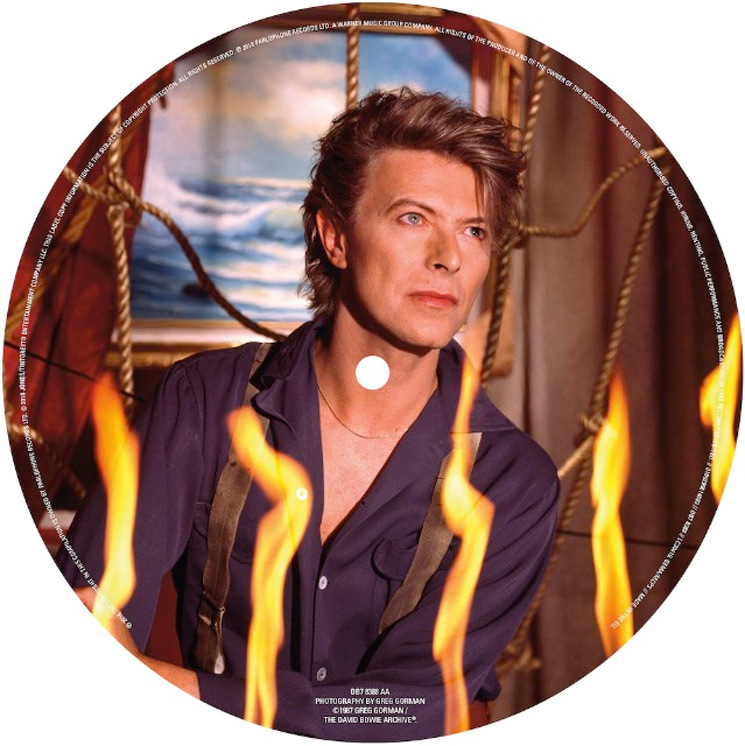 "Beat of Your Drum" and "Zeroes" are arriving as a special picture disc today, while the 11-CD/15-LP Loving the Alien box set is due out October 12 via Parlophone.